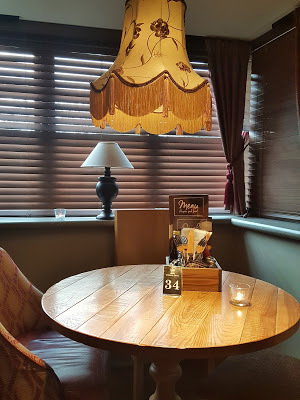 One of the local Ember Inns pubs in Milton Keynes has recently undergone a fresh new refurbishment and I was kindly invited to try them out. 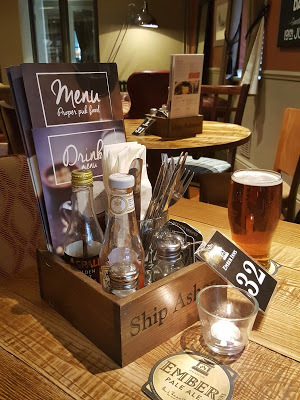 I frequently pass the Ship Ashore pub in Willen as it is just over the road from my office, but I’d never actually tried it out before. We popped in one weekday evening to enjoy a new dining experience at the pub which is ran by Ember Inns. The new refurb has left the pub feeling very cosy and homely inside, with mismatched furniture and rustic touches. I really liked the atmosphere inside and although it is a traditional pub, the restaurant is separate to the main bar. I was interested to try out their set menu which appeared to be excellent value offering three courses for only £10.99! 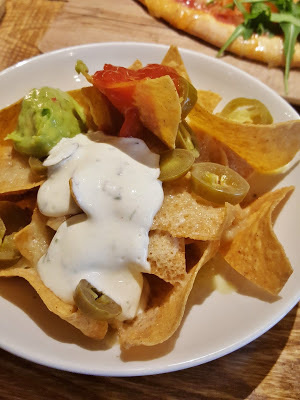 We started with the crunchy home-fried nachos which included tortilla chips topped with melted cheese, guacamole, sour cream, salsa and jalapeños. 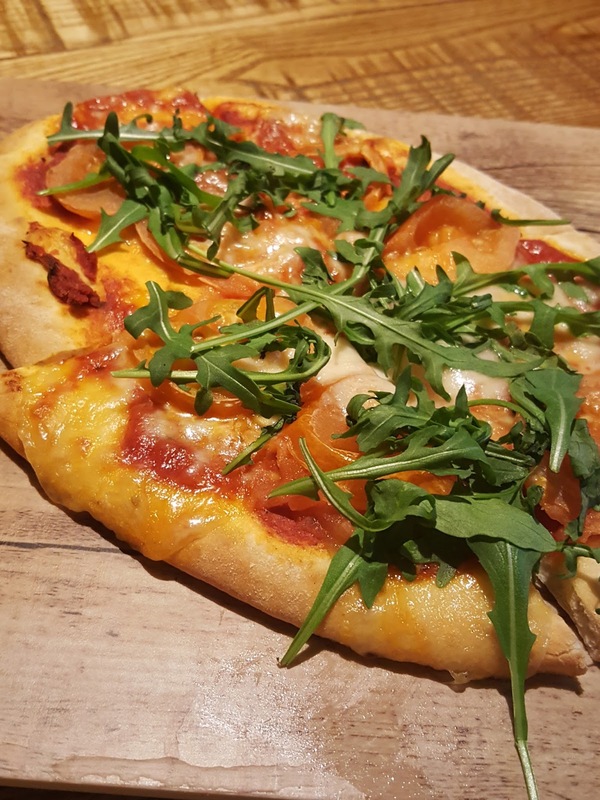 We also shared a stonebaked flatbread topped with tomato, mozzarella and basil. For my main I decided to go for the 8oz rump steak which I had with mashed potato, a grilled mushroom, garden peas,a handful of onion rings and half a grilled tomato. The meat was perfectly cooked medium-rare as I requested so it was nice and pink on the inside and it was topped with the most delicious stilton and mushroom creamy sauce. This has to be one of the best steaks I’ve had in a long time and for the price you really cannot complain! 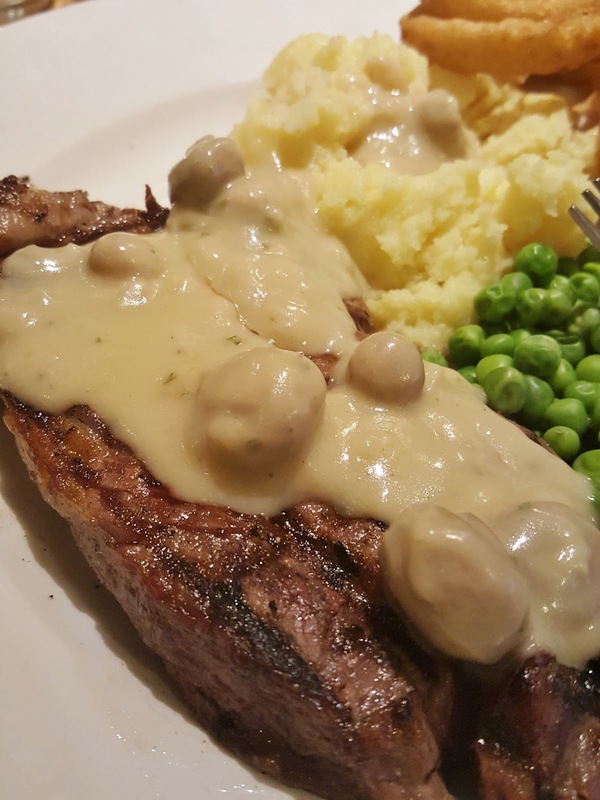 It was a very decent sized portion too and I really enjoyed the creamy mash with the sauce. 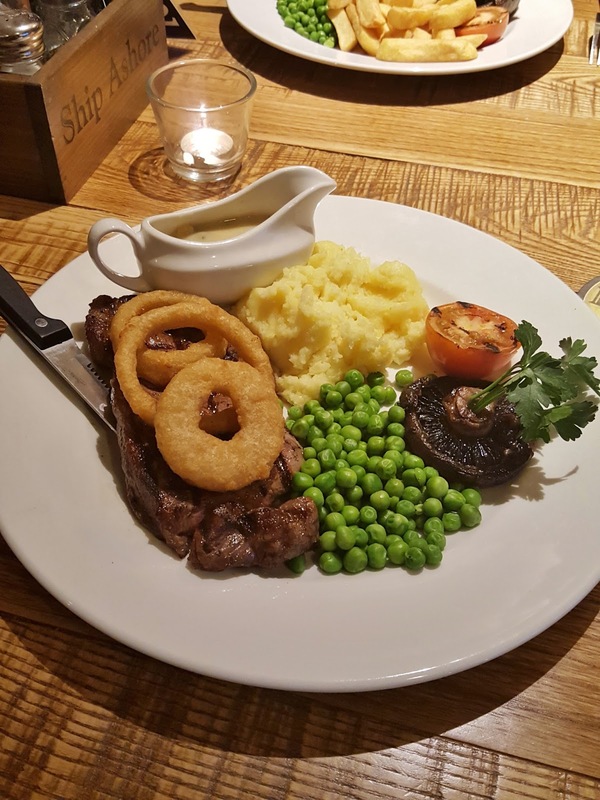 The steak and doom bar pie was also included on the set menu, which was steak in ale gravy served with creamy mash, seasonal greens and a boat of thick gravy. When the pie came out we were really impressed by the size of it! It’s the biggest pie I’ve ever seen. 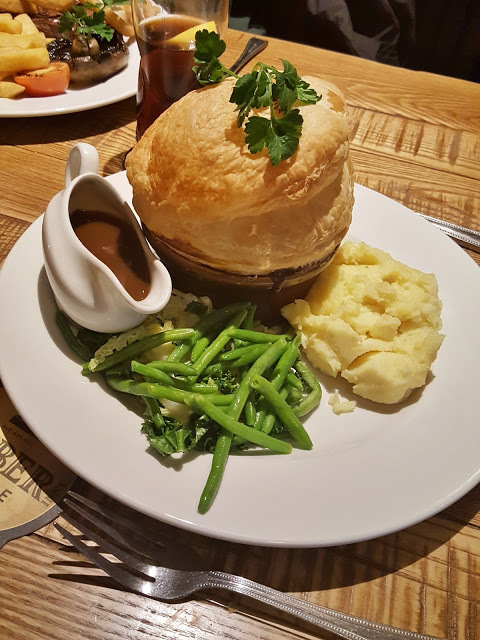 The ale gravy was really tasty and there was plenty of beef steak in the pie within the crispy pastry. Finally, despite being stuffed from the main course, we decided to pick our desserts from the set menu. You have the option of chocolate brown, treacle sponge, vanilla ice cream or a mini crème brulee. 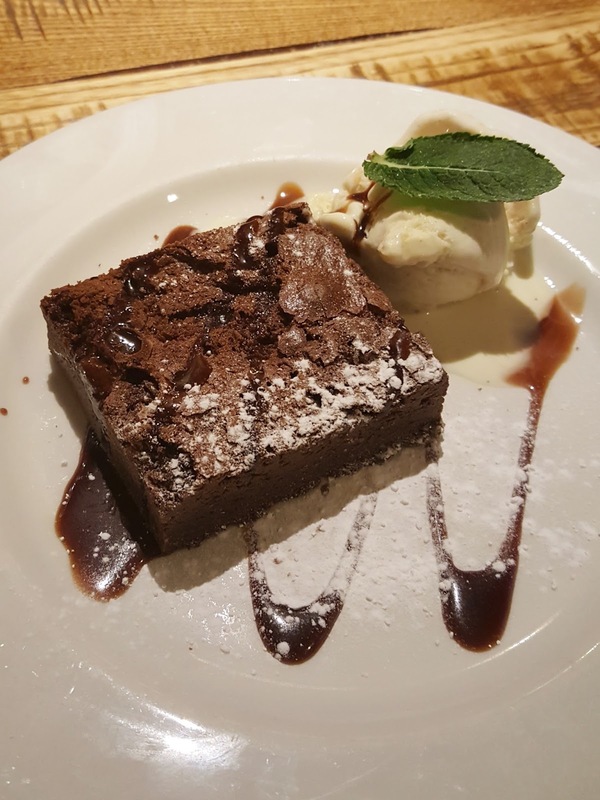 Of course I decided to go for the Belgian chocolate brownie which was served warm with chocolate sauce and Madagascan vanilla ice cream and it was really nicely presented. I also tried a bit of the treacle pudding, which I’m not usually a great fan of, but it was so sweet and light! 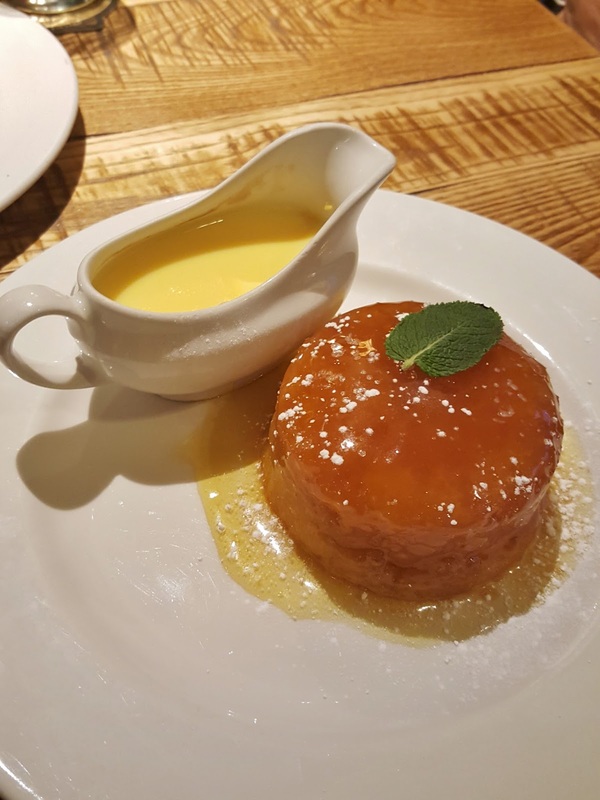 You could chose to have the dessert topped with whipped cream, ice cream or custard and the hot custard with the treacle was just perfect! Overall we were really impressed with the quality of the food as well as the service at the Ship Ashore and we will definitely be back again. I’m also keen to try out some of the other Ember Inn chains in the area. 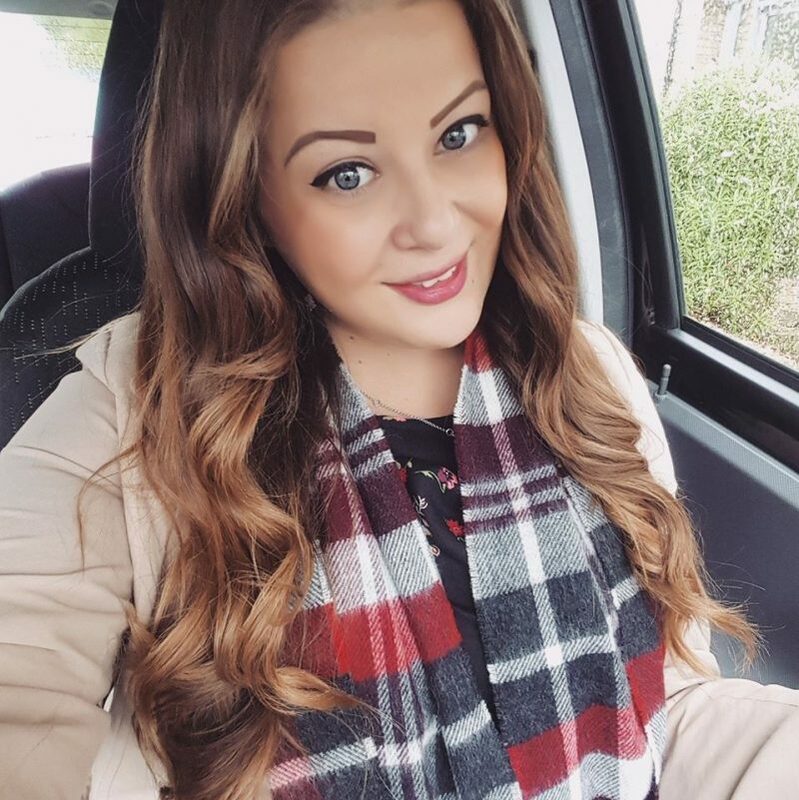 You can find your local Ember Inn pub here. Thank you to the Ship Ashore for having us!